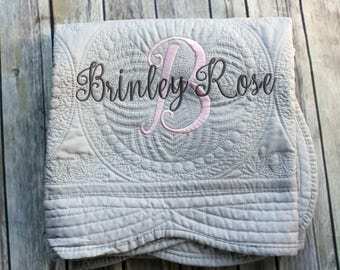 Hang out in style with this adorable monogrammed beach towel. 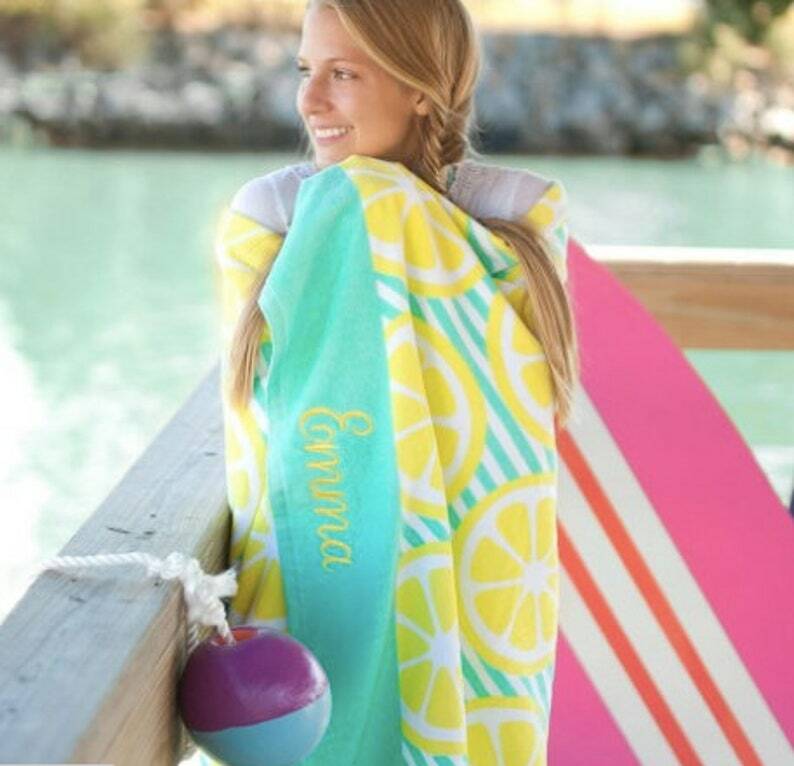 Perfect for pool days or lazy days at the beach, these super soft and plush beach towels are a wonderful addition to your summer style. Comes in four adorable prints. 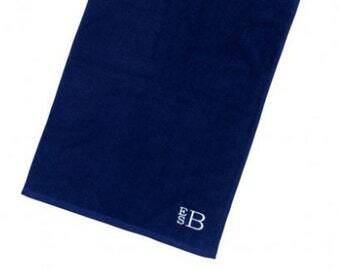 Towels are 60” L x 30" W and 100% Cotton. 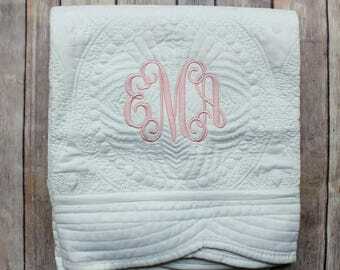 When checking out, please pick the style towel you'd like and the color monogram you want. 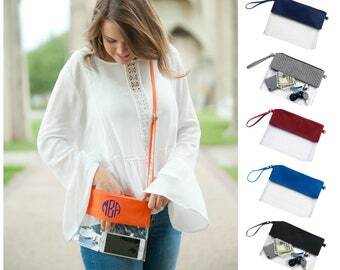 In the "notes to seller" box at checkout, please let me know if you would prefer the first name monogram or three letter monogram. 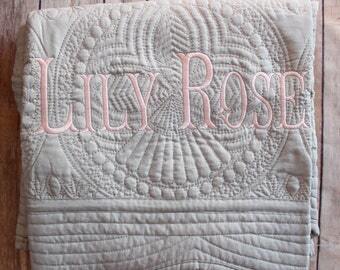 Please include the FULL name so that monogram can be arranged. Font options are shown in the last photo. My girlfriend absolutely loved this gift. Her daughter is so tiny next to the bunny. I can't wait to see how she grows with her new little gift. Thank you so much!! Arrived right on time, adorable and lettering is beautiful. 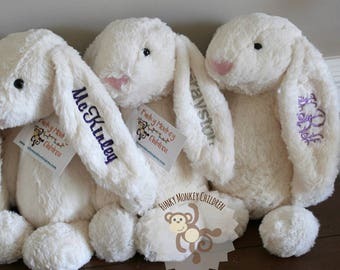 Perfect newborn gift, thank you! Looks amazing in the Easter Basket.